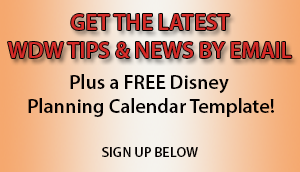 You are at:Home»Disney News»Starbucks Will Deliver Coffee to Visitors at Disney Springs! Coffee lovers rejoice! There’s a new convenience at Disney World, and we’ll tell you how to use it! Now not only can you hang around Disney Springs and enjoy the shopping and entertainment, now you can have your coffee delivered to you while you do it! You must be on the Marketplace side of Disney Springs to have your order delivered. Personally I think it would be ideal to have coffee delivered to me while I’m watching one of the many concerts that take place around Disney Springs each evening. It can get chilly during the winter and a hot cup of coffee would be just the thing to top off the experience. I can just imagine hearing some great music in the cool night air, sipping my hot Starbucks coffee that was just delivered to me. 1. Download the Starbucks app, register and link your credit card. 2. Choose the “Order” tab. Select “Disney Springs Marketplace“ to make your order. Delivery should be available between 8 am and 10 pm. 3. Pick your food and drinks. 3. Now you’ll call Starbucks. Give them your name and tell them where you are exactly. Call 407-279-2794. 4. Enjoy your order once it’s delivered!